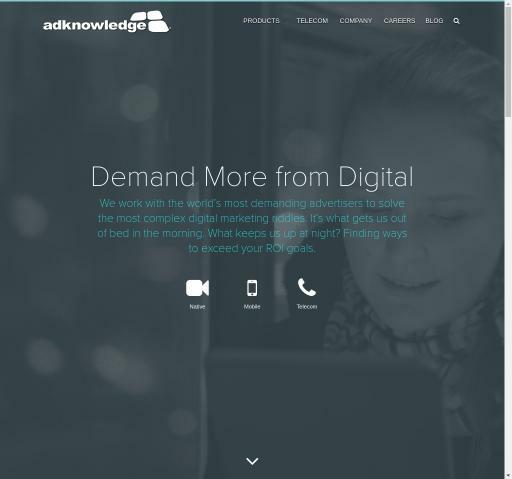 Adknowledge Video, Mobile, Banner, Email advertising network details. Considered the fourth biggest advertiser marketplace, Adknowledge provides performance-based marketing solutions that enable long tail web available to search engine advertisers. We employ state-of-the-art predictive technology and patterns of totally anonymous consumer response to create a bridge between advertisers and consumers. Multiple channels are offered, whether it is email, search, mobile, domains, or social networks. We are trusted by over 10,000 advertisers, with more than 60 terabytes of anonymous consumer interest data. To meet our clients’ expectation and even go beyond that, Adknowledge strive to find out the best email hygiene and verification solutions available. You can check Adknowledge reviews on Affbank and ask Adknowledge Team any question by using the contacts above, especially about how to earn money!